Happy birthday Bernie Calvert – 68 today. David Farrar is at the New Zealand Computer Society’s 50th anniversary conference. When mentioning this on The Panel on Afternoons on Monday the question of when the first computers came to New Zealand was raised. While preparing the daily history posts I’ve noticed references to computer technology years earlier than I was aware of them. The first memory I have of computers was in my last year at school, 1974, when one was introduced to the maths department. But I didn’t actually get my hands on one until I started work on the Oamaru Mail in 1979. Reporters still used typewriters, but after our work was subbed it was typed onto word processors for printing. An agreement with the printers’ union prevented the journalists from typing straight onto the word processors but we were permitted to use them for proof-reading. The following year I used a word processor again when I was office temping in London. Six years later my farmer bought me an electronic typewriter for Christmas – it held a line in it’s memory before printing and it could keep a whole page in it’s memory for editing. Soon after that I went to a course at Lincoln where I was introduced to spread sheets and word processing. When I came home I bought a computer. At first it was used mostly by me for writing but gradually it was used for farm accounting and record keeping. We connected to the internet in 1996. Initially it was used more for communication with friends but as programmes and connection speeds improved we used it more and more for the farm. I posted last week on economist Ha-Joon Chang’s theory that the washing machine did more for productivity than the internet. When I look at just how much the internet does for us, I’m not so sure. We get killing sheets via email, and check the quality and quantity of each day’s milk collection on-line. We also do most of our banking, including wages and account payments, communicate with staff and the people who support and supply us, research markets and products and get advice and technical support via the internet. In the last four years computers have become as essential to our operation as tractors and the internet has definitely helped our productivity. When the washing machine breaks down it makes domestic life more trying. When the internet connection goes our whole operation slows down. The trade weighted price for milk sold at Fonterra’s globalDairyTrade auction, this morning consolidatedthe 16.9% in the previous auction a fortnight ago. The price of Anhydrous Milk fat increased by 10.2%; Butter Milk Fat dropped 6.4%; Skim Milk Powder increased 1%; Whole Milk Powder increased 1.4% and the trade weighted price for all products went up 1.9%. This reinforces confidence that the milk payout for this season will stay within the forecast range of $6.90 to $7.10. If there’s something in your past which doesn’t reflect well on you it’s far better to admit it publicly before you get in to parliament, especially if it makes you look like a hypocrite. Using the birth certificate of a dead child to obtain a false passport is a despicable act. Even if it happened years ago and the person who did it was discharged without conviction, it’s the sort of thing people ought to know before he becomes an MP. The judge also said Mr Garrett had led a “blameless life”, and reporting his crime would have consequences disproportionate to the crime that he committed. For someone who wasn’t in the public eye that may be true. But according to the report the trial was in 2005, the year in which Garrett entered parliament, three years later Garrett entered parliament. Politicians don’t have to have had blameless past. But any who don’t confess any misdeeds to the public early are inviting trouble when, as is almost inevitable in a country where most people know someone who knows someone who knows you, it eventually comes out. If your name’s been suppressed can you make it public? 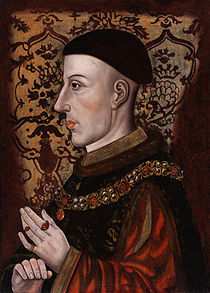 1386 King Henry V of England, was born (d. 1422). 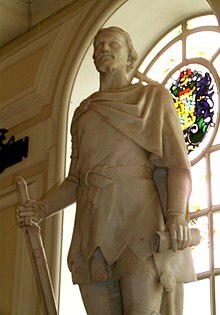 1400 Owain Glyndŵr was declared Prince of Wales by his followers. 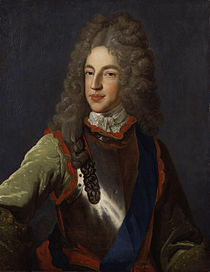 1701 James Francis Edward Stuart, sometimes called the “Old Pretender”, becomes the Jacobite claimant to the thrones of England and Scotland. 1776 American Revolutionary War: the Battle of Harlem Heights was fought. 1795 The first occupation by United Kingdom of Cape Colony, South Africa with the Battle of Hout Bay. 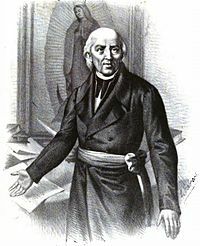 1810 With the Grito de Dolores, Father Miguel Hidalgo began Mexico’s fight for independence from Spain. 1812 Russians set fire to Moscow shortly after midnight. 1858 Andrew Bonar Law, Prime Minister of the United Kingdom (d. 1923)Prime Minister of the United Kingdom, was born (d. 1923). 1863 Robert College of Istanbul, the first American educational institution outside the United States, was founded by Christopher Robert, an American philanthropist. 1875 James C. Penney, American department store founder, was born (d. 1971). 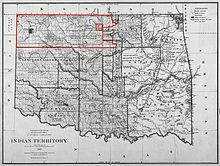 1893 Settlers race in Oklahoma for prime land in the Cherokee Strip. 1898 H.A. 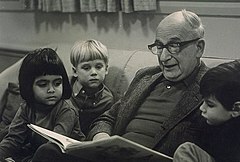 Rey, American children’s author, creator of “Curious George”, was born (d. 1977). 1905 New Zealand’s first fully representative rugby team to tour the Northern Hemisphere, the ‘Originals, started the All Black tradition including the haka and the ‘All Black’ name. 1908 General Motors was founded. 1919 The American Legion was incorporated. 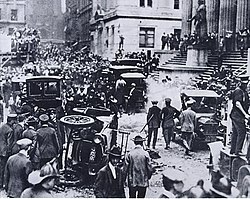 1920 The Wall Street bombing: a bomb in a horse wagon explodes in front of the J. P. Morgan building in New York City – 38 killed and 400 injured. 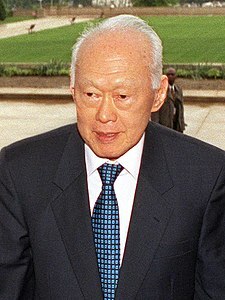 1923 Lee Kuan Yew, Minister Mentor of Singapore, was born. 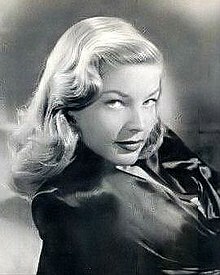 1924 Lauren Bacall, American actress, was born. 1925 – B. B. King, American musician, was born. 1925 – Charles Haughey, Prime Minister of Ireland, was born (d. 2006). 1930 Anne Francis, American actress, was born. 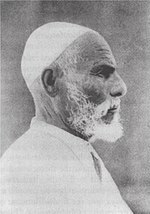 1931 Hanging of Omar Mukhtar. 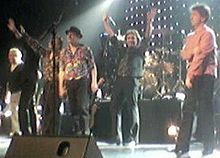 1942 Bernie Calvert, British musician (The Hollies), was born. 1945 World War II: Surrender of the Japanese forces in Hong Kong, presided over by British Admiral Cecil Harcourt. 1947 Typhoon Kathleen hit Saitama, Tokyo and Tone Rivr area, at least 1,930 killed. 1948 Kenney Jones, English musician (The Small Faces; Faces; The Who), was born. 1955 Juan Perón was deposed in Argentina. 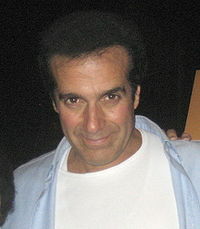 1956 David Copperfield, American magician, was born. 1963 Malaysia was formed from Malaya, Singapore, British North Borneo (Sabah) and Sarawak. 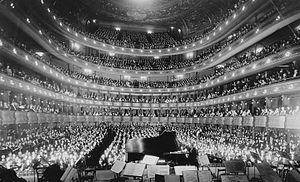 1966 The Metropolitan Opera House opened at Lincoln Center in New York City with the world premiere of Samuel Barber’s opera, Antony and Cleopatra. 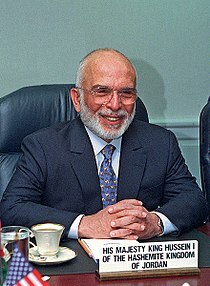 1970 King Hussein of Jordan declared military rule following the hijacking of four civilian airliners by the Popular Front for the Liberation of Palestine (PFLP) which resulted in the formation of the Black September Palestinian paramilitary unit. 1975 Papua New Guinea gains its independence from Australia. 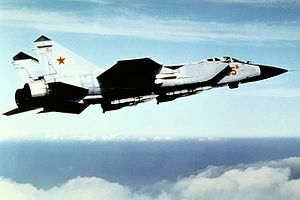 1975 The first prototype of the MiG-31 interceptor made its maiden flight. 1976 Shavarsh Karapetyan saved 20 people from a trolleybus that had fallen into Erevan reservoir. 1978 An earthquake measuring 7.5-7.9 on the Richter scale hit the city of Tabas, Iran killing about 25,000 people. 1982 Sabra and Shatila massacre in Lebanon. 1987 The Montreal Protocol was signed to protect the ozone layer from depletion. 1990 A rail link between China and Kazakhstan was completed at Dostyk, adding an important connection to the Eurasian Land Bridge. 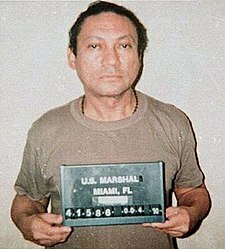 1991 The trial of deposed Panamanian dictator Manuel Noriega began in the United States. 1992 Black Wednesday: the Pound Sterling was forced out of the European Exchange Rate Mechanism by currency speculators and forced to devalue against the Deutschmark. 2005 Camorra boss Paolo Di Lauro was arrested in Naples. 2007 One-Two-GO Airlines Flight 269 carrying 128 crew and passengers crashed in Thailand killing 89 people. You are currently browsing the Homepaddock blog archives for the day Thursday, September 16th, 2010.